Before we dive into why you should attend Marketing United, let me first tell you what it is. 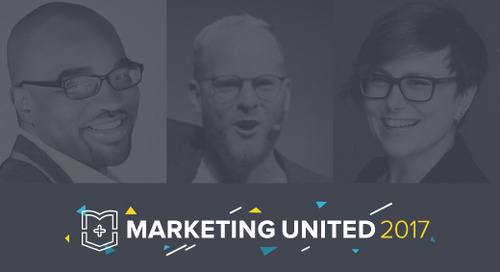 Marketing United is a marketing conference (hosted by us!) that brings together some of the smartest minds in the industry to provide tons of inspiration, creative ideas, and practical takeaways to improve your marketing. Now in its third year, it’s taking place April 19-21, 2017. And it’s right in the heart of Nashville – where Emma HQ happens to be located – so hey, we’ll have a little fun while we’re at it. Now for the “why you should attend” part: Here are 10 reasons we’re calling Marketing United a must-attend event for marketers. 1. You’ll leave with practical takeaways and why-didn’t-I-think-of-that ideas that will help you get better marketing results when you get back to the office. You won’t have to search for an answer when your boss asks what you learned at the conference. 2. We’ve created a conference that WE would love to attend (and you will, too). We’ve been to so many conferences over the years and took note of all those times we said, “I love how they…” or “This is how I would…” Plus, with two years under our belt, we feel confident that this will be the absolute best Marketing United yet. 3. There will be two full days of fun, impactful stories from brands like Pixar, Netflix, and The Met – plus super in-depth sessions from industry leaders like Unbounce and Litmus. 4. Just for Emma customers, we’ll be hosting a full day of pre-conference workshops to share our best tips and advice for making the most of your Emma accounts. It’s like $1000 worth of services at 1/5 the price. 5. Hear inspiring keynotes from the likes of Scott Stratten of UnMarketing, Aaron Draplin of Draplin Design Co., and Jay Baer of Convince & Convert that will leave you feeling refreshed and ready to take on whatever marketing challenges that await back home. 6. You’ll learn about a full range of marketing topics, including mobile marketing, email strategy, e-commerce and retail, social strategy, SEO, video marketing, and more! 7. We're hosting an exclusive rooftop party at Acme Feed & Seed on Lower Broadway Thursday night. 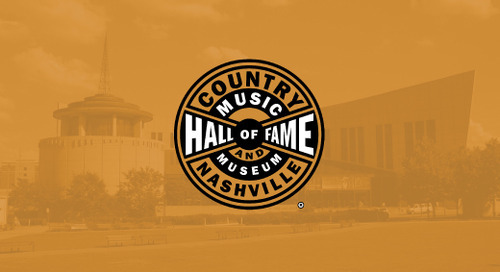 It's one of our favorite local spots, and it's a can't-miss part of the Nashville experience. 8. You’ll get a sneak peek into our product roadmap for 2017 straight from our Chief Product Officer, Jeff Middlesworth. 9. After spending the morning and afternoon diving into the latest marketing expertise, there’s plenty of time to do more “research” at night. It's called Music City for a reason. 10. There will be a few Emma-style surprises you won’t see at any other conference. Seriously, we hate secrets, so we can’t wait to show you. We expect to sell out this year, so act fast to save your spot. If you have any questions about Marketing United, check out the FAQ or drop us a line at hi@marketingunited.com. See you in April! Cynthia Price is VP of Marketing at Emma. 3 new speakers added to the MU lineup!